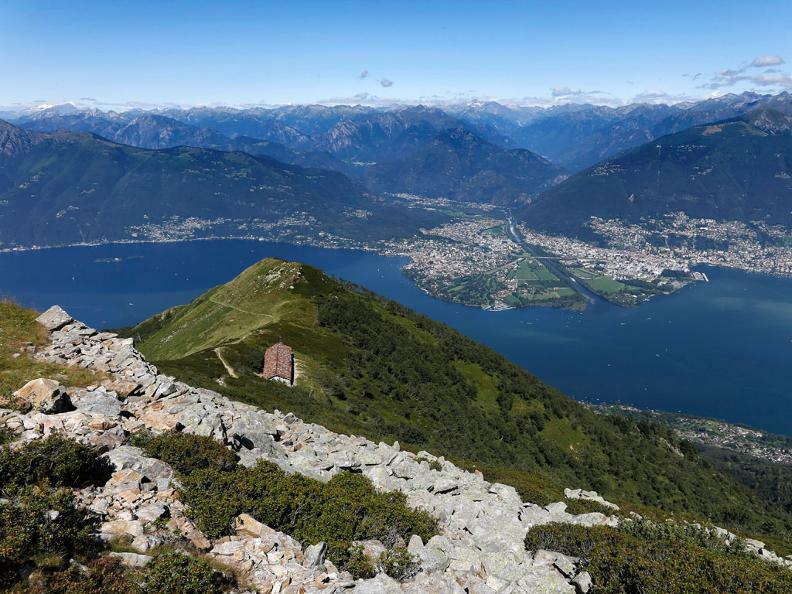 Looking down from Monte Gambarogno (1734 m), yachts on Lake Maggiore look like swans and the Maggia a mere trickle! Lifting your head the incomparable panoramic view reveals the Monte Rosa Massif, the Mischabel mountain range and Ticinos' most famous peak Basodino. 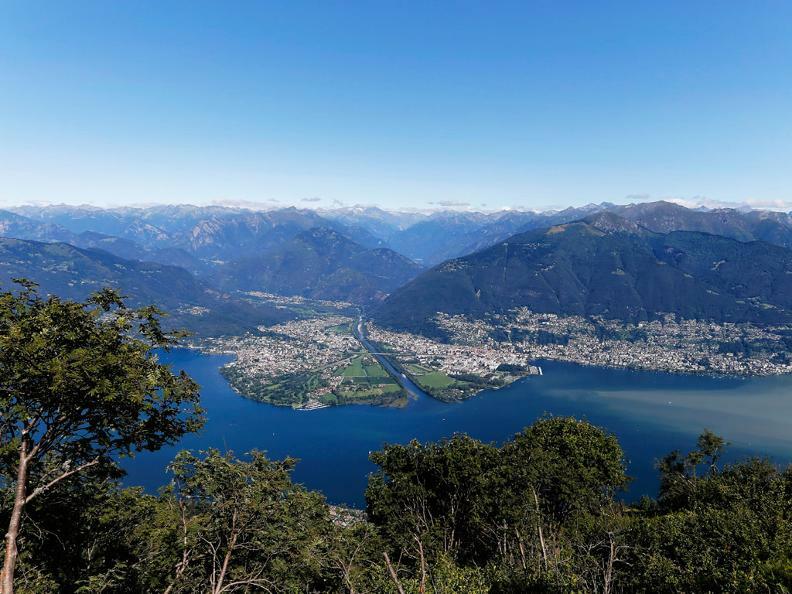 Behind you sits Monte Tamaro and you have the hard decision to take whether you want your excursion to end in Indemini, one of Ticino’s most original villages, or down by the shores of Lake Maggiore with a swim or a visit in the botanical gardens. 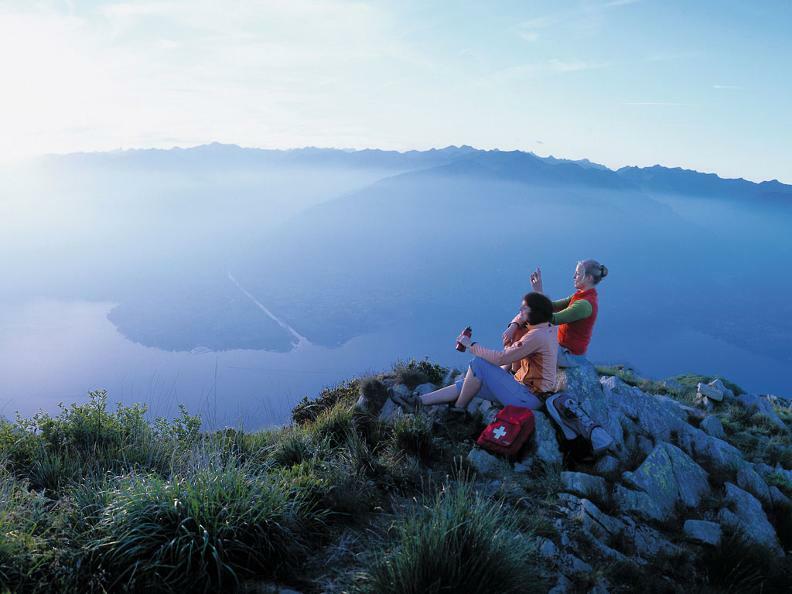 The common places to start a hike to Monte Gambarogno are Alpe di Neggia or Indemini. The route up to Alpe di Neggia and Indemini is not less breathtaking than the vista from the mountain top. It is known as one of Switzerland’s most surprising and beautiful rides. The journey with the postal car from the lake shore covers 1200-meter altitude and 132 bends, 38 of which hairpins. The region is full with flourishing beech and chestnut trees. On Alpe di Cedullo excursionists can try and buy freshly produced goat cheese. The Chapel of Sant’Anna, with its fresco of ‚our lady nursing‘ warms your heart. And down by the shores there is another jewel, the Gambarogno botanical gardens, where magnolia, camellia, azalea and rhododendrons add color to your day. In winter there is a ski lift on Alpe di Neggia. A restaurant with accommodation options is there for your comfort, in winter as in summer.